Academy Award won by Charles Crawford Davis for his contributions to the film industry, specifically for his work in audio engineering for which he also received a number of patents. 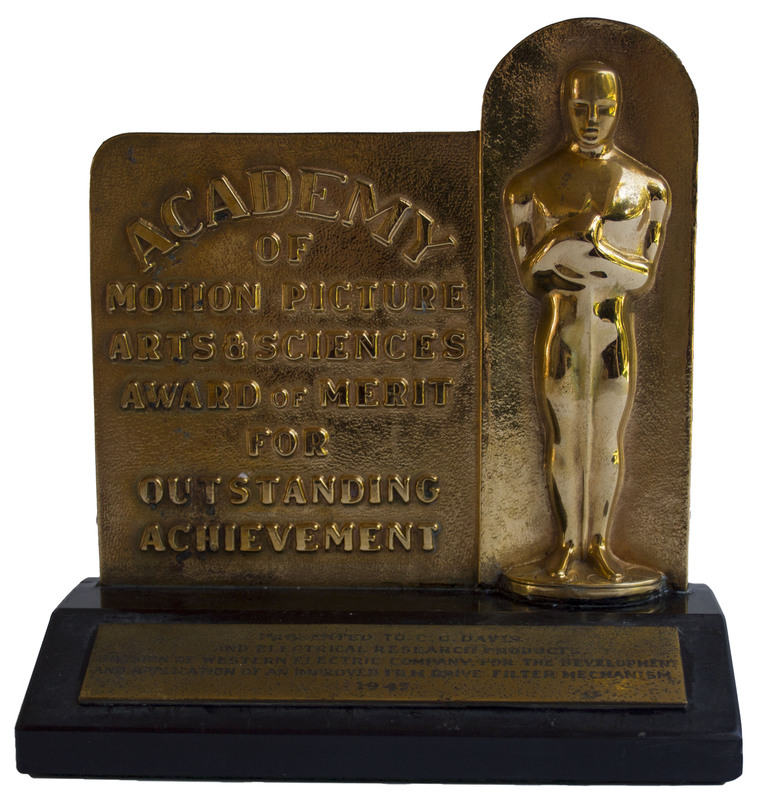 Bronze tablet-style award features the Oscar figure in relief. Beside it, the words ''Academy / of / Motion Picture / Arts & Sciences / Award of Merit / for / Outstanding / Achievement'' appear. Mounted to a black marble base. A plaque on the front of the base is engraved: ''Presented to C.C. 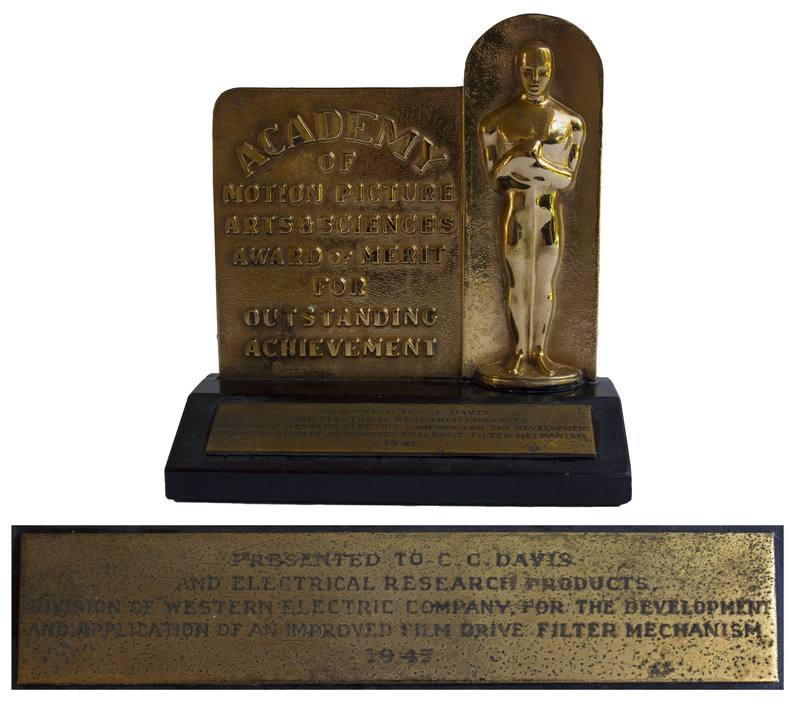 Davis / And Electrical Research Products / Division of Western Electric Company, For The Development / And Application of an Improved Film Drive Filter Mechanism / 1947''. Award measures 6.25'' in total height, 6'' across, and base measures 3.25'' deep. Professional repair to crack along base, tarnishing to plaque and light wear; overall in very good condition with a lustrous gold finish on the plaque.